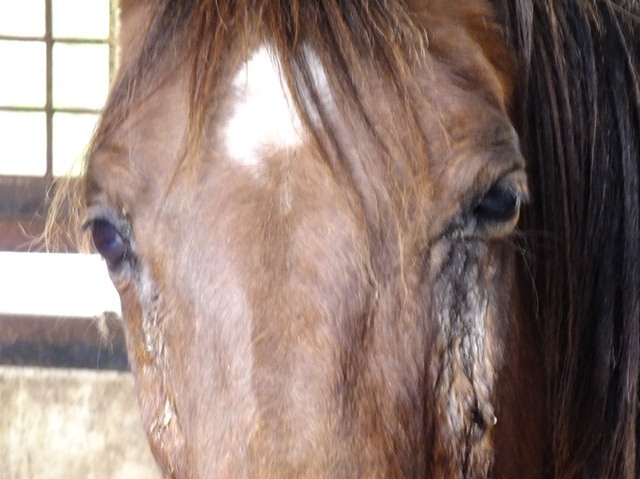 Traveller's Rest Equine Elders Sanctuary: Lindy Needs Eye Surgery. Until now, TREES has never solicited donations for specific vet bills. Now however, with rising costs and more horses in need, we need to ask for your help. Lindy, our little Davenport Arabian mare, who arrived underweight and in need of vet care in the fall of 2011, now needs surgery to remove one eye. What probably started as uveitis some time ago has progressed to glaucoma. While it is not yet terribly painful, this eye does cause some discomfort and should be removed before it begins to cause greater problems. The veterinary surgeon gave us an estimate of $1170. 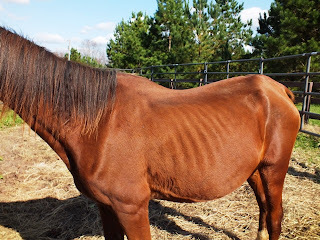 Can you help us help Lindy sooner rather than later, by using button at the top of this post and "chipping in" to her surgery fund ? Thinking of Re-Gifting? Re-Gift for the Elders!